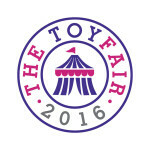 Razor reveals cool ride on toys at London Toy Fair 2016. 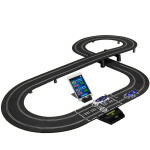 At the 2016 London Toy Fair, Razor unveiled its upcoming lineup of toys for the new year. Some of Razor’s highlights at the event include the Crazy Cart Shift and the RipStick Electric. The Crazy Cart Shift is a refresh of an existing Razor product. The new model includes a Power Core hub motor rather than a chain-driven motor. Riders can expect to experience thrilling speeds up to 8 miles per hour. Interestingly, Razor eliminated the Drift Bar with the new design, integrating that functionality into the steering wheel. The Crazy Cart Shift is designed for ages 8 and older. The Crazy Cart Shift is expected to retail for approximately $355 in the U.S. Adults looking for a similar ride should check out Razor’s Crazy Cart XL. Razor introduced event attendees to an electric version of its popular RipStick. We can almost guarantee it will be on the hot toy list of 2016. 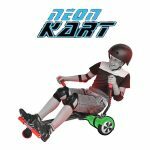 The new model is known as the RipStick Electric and it features a lithium ion battery, capable of reaching speeds up to 10 miles per hour. A nifty handheld remote allows users to control speed and power. Interestingly, the battery has increased the overall weight of the RipStick Electric by approximately 1/3 over the RipStick. Expect the RipStick Electric to be released this winter, retailing for around $285.